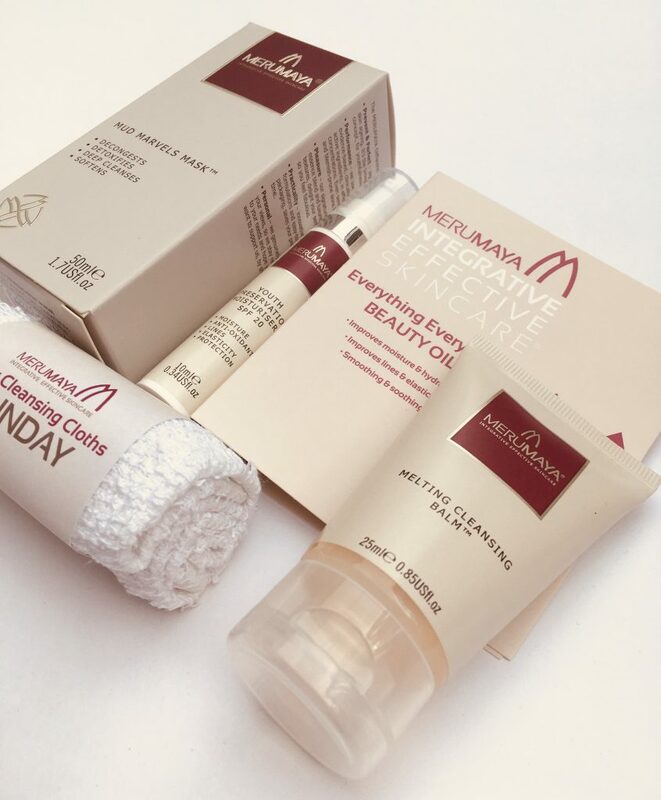 Earlier in the year I discovered indie skincare brand Merumaya and their terrific hand cream with SPF. I still really rate it. It’s become one of those products that’s stayed in my handbag and gets used regularly. I even let the lads in the office use it since, this being Brighton, we have equal opportunity hand cream access rights. And they liked it too. Merumaya are now celebrating 5 years since launch, and they are exactly the sort of brand I love. Like Ruth Mastenbroek perfumes, they’re fuelled by one woman’s passion, this time for good, affordable, ageless skincare. 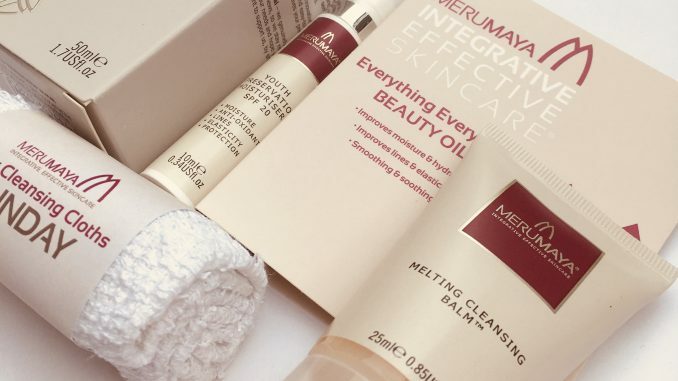 Merumaya have got a fantastic birthday offer on the go which I hope you might treat yourself to, or scoop up as a gift for a friend. It’s a skincare bundle worth £56, free with any purchase of £25 or over. Mud Marvels Mask (50ml, RRP £19.50) – contains activated charcoal for cleansing and AHAs for exfoliating, plus a blend of oils for moisturising. Melting Cleansing Balm (25ml, RRP £7.50) – this is the product I’m most excited to try, as it came out top in a Guardian test and was pronounced King of All Balms, even beating the might Eve Lom cleansing balm. The Merumaya 5th birthday offer runs from Friday 13th October to Thursday 19th October 2017 on the Merumaya website, while stocks last. Make any purchase over £25 and you’ll receive the gift shown here, worth £56.